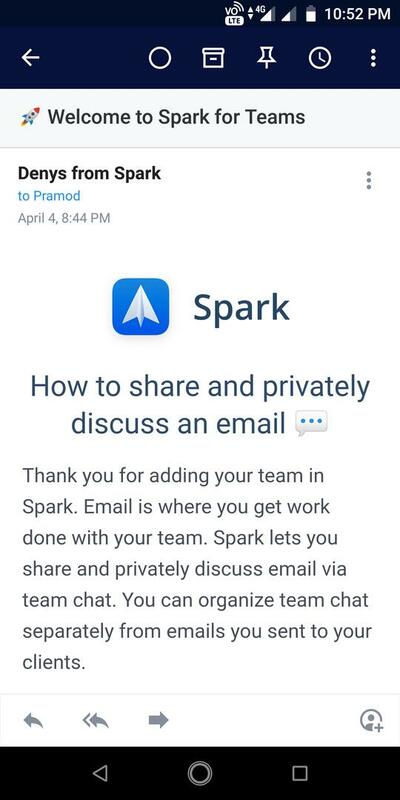 Spark, one of the most popular email client apps for the Mac and IOS operating system is now available for download on the Google Play Store. The app was published on the Play Store this week. It requires 63.52 MB of free storage memory. Spark doesn’t have ads and in-app purchases. 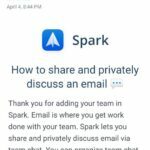 Is Spark a good alternative to other email client apps? Should you replace the default email app on your mobile device with it? Here’s our honest review of the Spark email application. 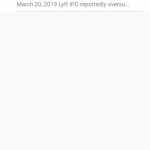 The first thing that you’ll see on your phone’s screen after running Spark is a slider containing 3 slides (indicated by dots). The slides explain the features of the app in brief. You can change the slide by swiping on the screen or by tapping the dot icons. To get started with this app, you should either create a new account or log in to your email account. To register a new account, you’ll be asked to enter an email address and a password. If you click the log in option, the app will display a list of email accounts you’ve linked with the phone. Once you select an account, the email service provider will display a popup asking you to grant Spark the permission to access your email account. 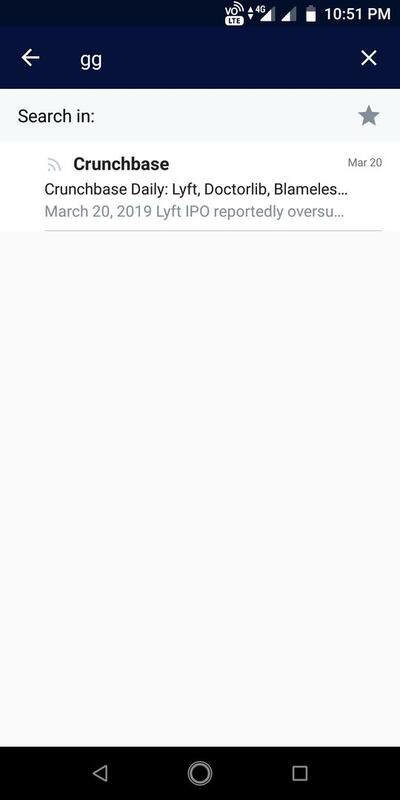 Spark verifies the account when the user taps the Ok button displayed in the popup box. Then, it displays a welcome message and a button that will take the user to the app’s main interface. When you tap this button, Spark asks users to grant it permission to access the contacts. 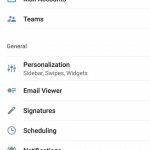 Once you grant the contact access permission or skip this step, the app analyzes your emails and groups them in various categories. 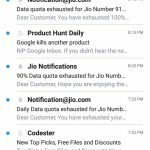 Emails are displayed on the main interface of the app. 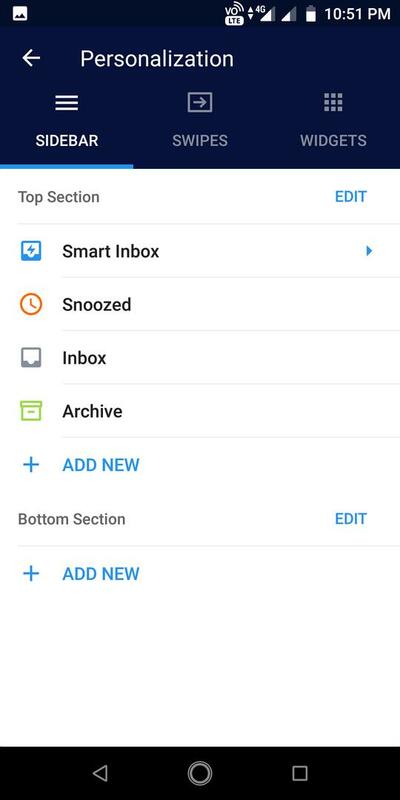 The app gives users access to two types of inboxes, smart and non-smart. Both these inboxes are accessible from the application’s menu. 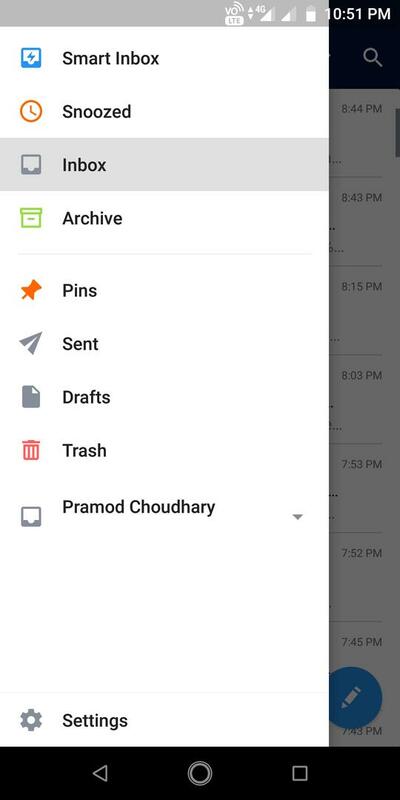 The 1st inbox displays categorized emails. 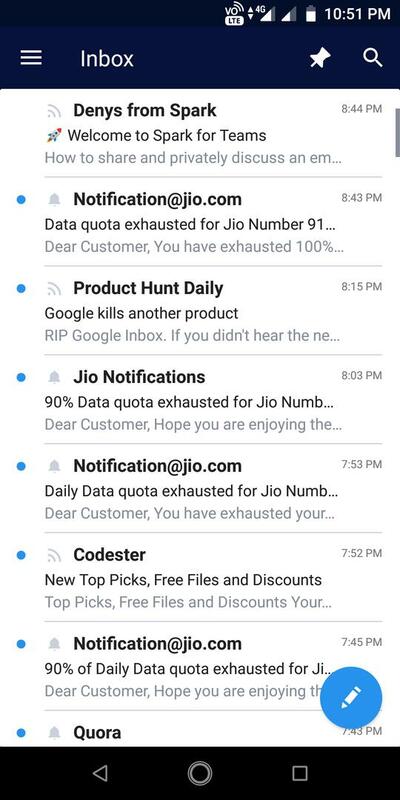 The 2nd inbox displays a list of emails. It doesn’t group emails. 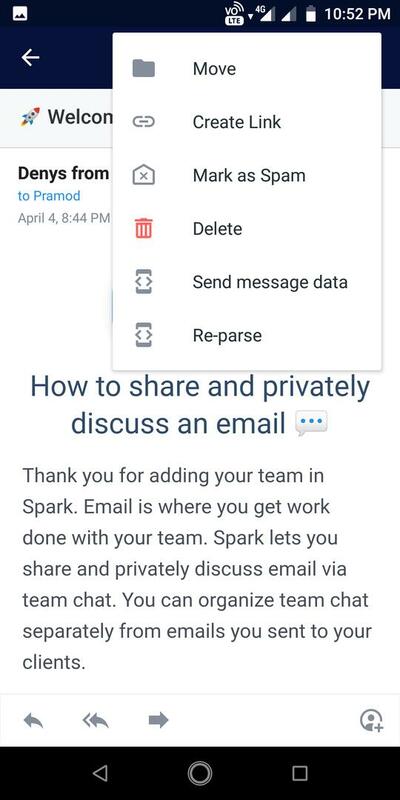 This feature of Spark lets users share emails with a person or a group of people with a shareable link. 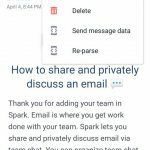 Spark can be configured to hide the email address shown in the mail and prevent other users from opening the link. The users should keep track of the links they create if they are planning to re-use them in the future. The app doesn’t do this for them. 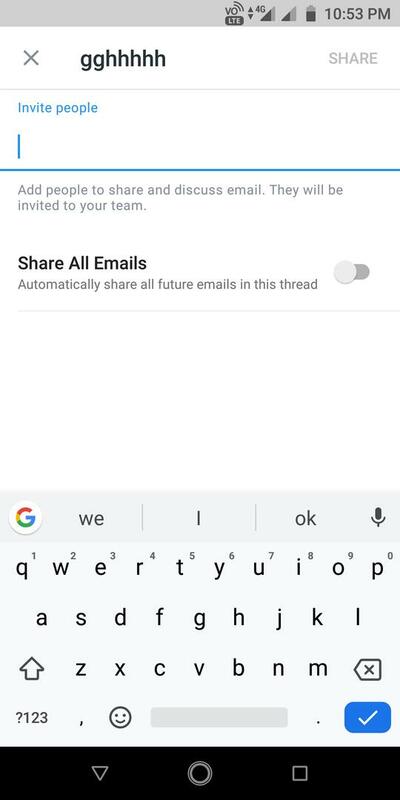 If you’ve replied to an email, the Spark app displays the number of messages that were exchanged during the conversation at the bottom right corner of the row where it displays the email title and description. Users often search for old emails containing specific text or keyword. If you’re using Spark, you don’t have to bookmark emails or remembers keywords. This is because the app allows users to save search keywords. 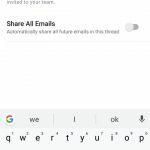 Unlike other email apps that displays results only when you tap the search button, Spark shows search results on the fly. You can use the service providers not mentioned in the above list if you know the server’s SMTP/IMAP address, port number, the protocol the server is using and the password. Users can’t change the theme of the Spark app but they can reorder the menu items or add/remove menus they don’t want to use. Spark also enables you to define the action it should execute when the user swipes in the left or right direction. 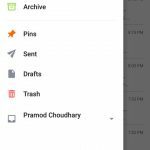 The app lets users create a widget for displaying emails, reminders, drafts, items in the trash, emails you have archived, etc. Spark plays an alert sound when there’s a new email in the inbox. If you are using a phone powered by the Android 8 or higher OS, you can change the default sounds the app should play for the system/team notifications and other alerts. Users can block unauthorized access to the Spark app’s interface by setting a passcode or by enabling the fingerprint-based biometric authentication. Team is a useful tool for business communications. It enables users to discuss and share emails with specific users. This feature is somewhat similar to online communities such as Reddit, Google/Yahoo Groups, etc. 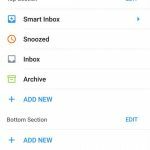 Spark is one of the few email client apps with which users can create a draft and forget it. This is because it gives users an option to schedule emails. If you have sent an important email to a user, you may expect him/her to reply to your message within a certain time period. 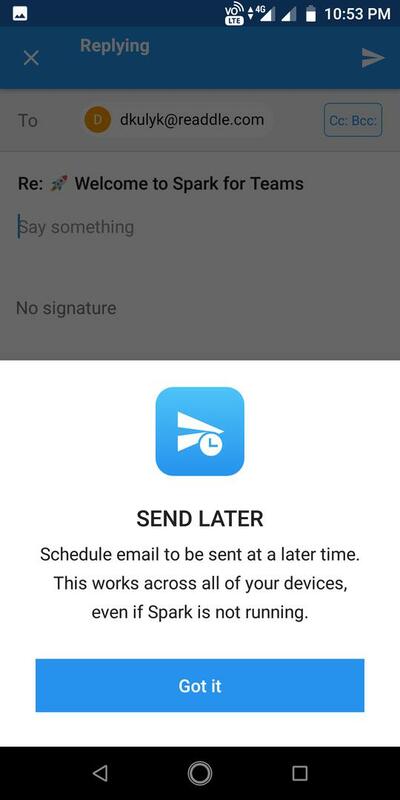 Spark can remind you to contact the recipient if he/she doesn’t reply to your email. 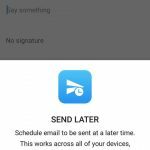 When you snooze an email, Spark will remind you to read the email at a time specified by you. Pinning enables you to stay focused on certain emails. No option to create filters. 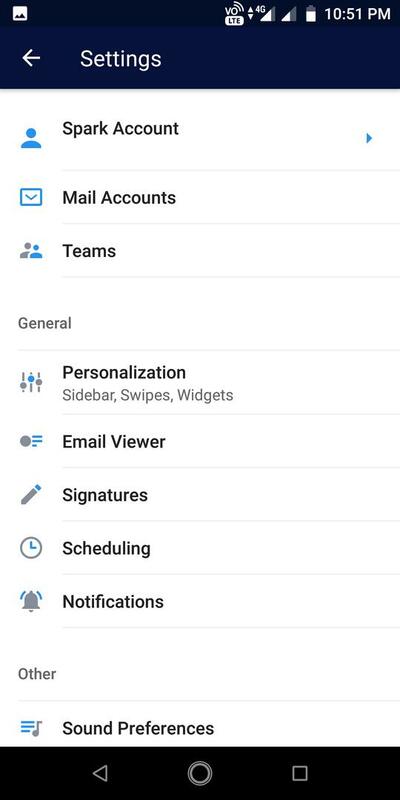 Conclusion: Spark is an email application that most of the Android users will like. It offers many features and has a clean user interface. Spark has the features that might help it rule the productivity category of the Google Play Store in the coming months. Although Spark is a new application, it doesn't have bugs.